Rent Uncle Jack's Steakhouse | Corporate Events | Wedding Locations, Event Spaces and Party Venues. Let us host your private party, bachelor party, birthday, corporate event, Christmas party, business meeting or special celebration at Uncle Jack's, where you can enjoy a great atmosphere, unique food and friendly service. 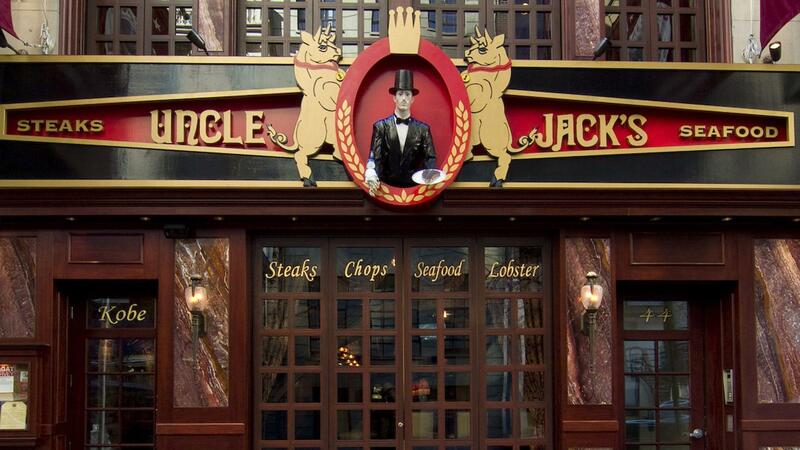 Uncle Jack’s isn’t your run-of-the-mill New York Steakhouse. It is New York's famous gathering place for the discriminating executive, entrepreneur, and socialite. The quality of our food and service underscores our commitment to excellence and to your satisfaction. We take tremendous pride in our reputation as the "Best Steakhouse in New York City". In the early 1930's, with prohibition still in effect, "Jack's" on the Upper Westside of Manhattan became the premiere location for celebrities, socialites and aristocrats yearning to celebrate the finer things in life. Aside from serving New York's finest steaks, seafood and vegetables, "Jack's" was just as well known for its proprietor and his dedication to quality and high standards – qualities that still define Uncle Jack's today.